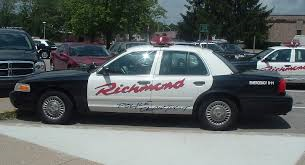 (Richmond, IN)--The Richmond Police Department is in need of new police cruisers. RPD’s Mike Britt addressed Richmond Common Council Monday night and explained a problem. An expanded number of new officers are finishing training and are ready to patrol, but there are not enough police cars for them to use. The department has asked council for eight new cruisers that would cost a total of $216,000. About half of that money would be covered through asset forfeiture. 18 cars have been identified that need to be retired due to excessive miles and rust. Monday night’s request was sent to the finance committee.